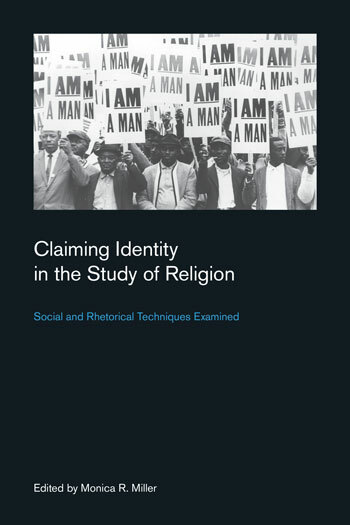 Focusing on the academic study of religion, Claiming Identity in the Study of Religion is the first in a series that grapples with the historicity of identity and the social and rhetorical techniques that make claims to identity possible. In this volume, six previously published essays by scholar of religion Russell T. McCutcheon are each coupled with a new substantive commentary by North American contributors. McCutcheon’s essays highlight different identifying claims within the work of a number of leading scholars of religion. The companion contributions analyze the strategies of identification employed by the scholars whom McCutcheon discusses. Monica R. Miller provides an introduction to the volume and Steven W. Ramey provides a concluding essay. The strategies of identification highlighted and exposed in this text are further explored in the second volume in the series, The Problem of Nostalgia in the Study of Identity through a set of detailed ethnographic and historical studies that press novel ways of studying identity as an always active and ongoing process of signification.